Happy #MeatlessMonday ! This week we’ve got a pasta dish for you. Pasta often gets a bad rap because it is very easy to overeat, which can leave you feeling uncomfortable and bloated. Restaurant portions are often four times the recommended serving! Instead, aim for a one-cup serving (about the size of a fist). Choosing whole grain pasta will add more fiber than white versions, which slows digestion and helps keep you full while eating less. I used a quinoa-based pasta for my #MeatlessMonday! You can even take it a step further and substitute pasta with thin strips of zucchini or carrot. Basil pesto is easy to make at home, and by making it from scratch you can control the ingredients. Store-bought versions are often loaded with oil, and while a little bit of heart-healthy unsaturated fat (like olive oil) is a good thing, too much adds unnecessary calories. Cook pasta according to package directions. While cooking, using a food processor (or mortar and pestle) to crush garlic and nuts. Add all other ingredients and blend until well combined. If the mixture is too thick, add small amounts of water to thin. Taste it and adjust accordingly if you prefer more garlic or lemon. Strain the pasta and toss with pesto sauce in a large bowl while still hot. The pesto recipe will coat 3-4 servings of pasta. Use the hashtag #SWEATmeals to share your #MeatlessMonday pics. 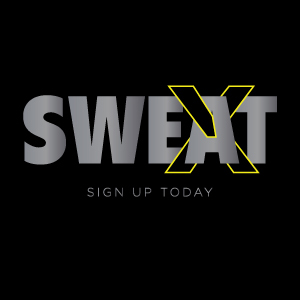 You might even be featured on our @sweatfitness account!